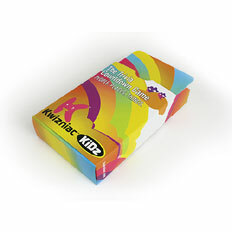 Challenge kids' powers of deduction and their ability to think on their feet with this giant box of brainteasers. Made to be played at home, on the road, or on a family vacation, this set-up-free game is chock-full of cards that each contain 5 tantalizing clues that lead the player to just one correct answer. The opposing team or player draws a card and reads the 5 clues one at a time (starting at the fifth one), giving the guesser just 10 seconds to answer before reading the next fact. Clues progress in order of difficulty, where each factoid is easier to decipher than the previous one read. Sure to challenge your pint-sized competitor, this fast-paced game puts the pressure on the guesser since the number of points received for a correct answer decreases as he or she progresses through the clues. The player or team with the most points wins.